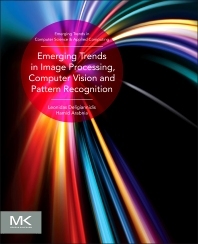 Academics and researchers in computer science and electrical engineering interested in image processing, computer vision and pattern recognition. The content of the book seems good and will help the researchers to find their areas of work. Leonidas Deligiannidis is a Professor of Computer Science and Networking at Wentworth Institute of Technology in Boston. His research examines Image Processing, Network Security and Information Visualization. Deligiannidis earned his PhD in Computer Science at Tufts University.